Crispy, flaky parcels of puff pastry filled with spicy minced meat! I have many a happy memory of sitting in one of Mumbai's numerous Parsi cafés with a cup of Chai (tea) and a plate of pattice! While this recipe might look intimidating, it is simple and easy to do and turns out a snack that you will love. Add the cumin seeds and fry for 1 minute. Add the onions now. Fry till they turn a pale golden color. Take a look at my handy hint for how to brown onions quickly. Add the minced meat and all the powdered spices - coriander, cumin, garam masala and salt to taste. Add the tomatoes, stir and cook till all the water has dried up. Turn the fire off, add the lime juice and stir. Thaw the puff pastry (if using frozen puff pastry). Cut out a sheet of foil and line a large, flat baking tray with it. Spray lightly with cooking oil. Now cut each pastry sheet into 4 equal sized squares. 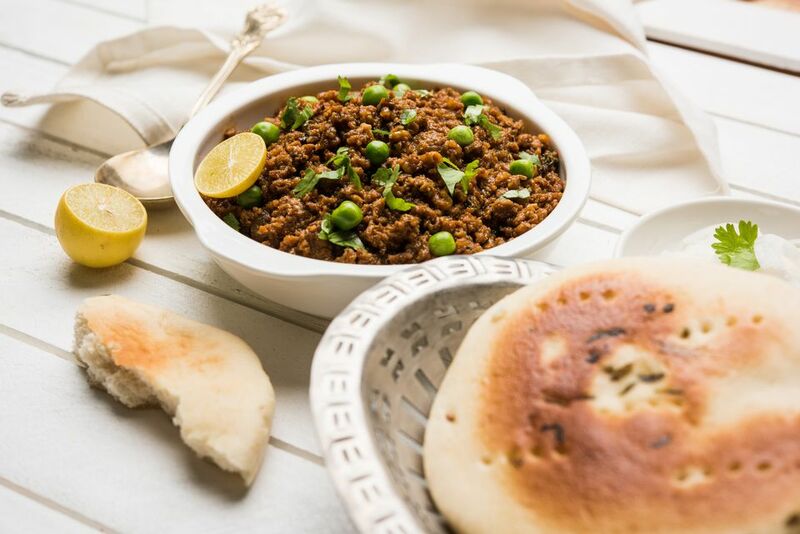 Divide the previously prepared kheema into 8 equal parts. Spoon a portion of the filling, into the center of each square. Dip your index finger in a bowl of water and run it all along the edges of the pastry square. Now fold each square in half to form a triangle. Press the edges of each triangle to seal. Gently poke each pattice with a fork a few times. Keep aside. Repeat till you have used up all the filling. Place each pattice on the foil making sure not to place them too close to each other as they might stick while baking. Bake in preheated oven about 1 hour, or until golden brown. When done, remove from oven and keep aside to cool slightly. Serve with a steaming cup of masala chai and a dipping sauce like minty yogurt dip. Enjoy!